Note: From time to time, not all images from hardcopy texts will be found in eBooks due to copyright restrictions. Product is in stock and will be despatched within 1-2 working days. iiTomo Senior for Years 11-12 was written from the ground up based on user feedback and is aligned with the QLD Senior curriculum 2019, the Victorian Study Design 2019, the NSW Stage 6 Syllabus and all other states’ senior curricula. 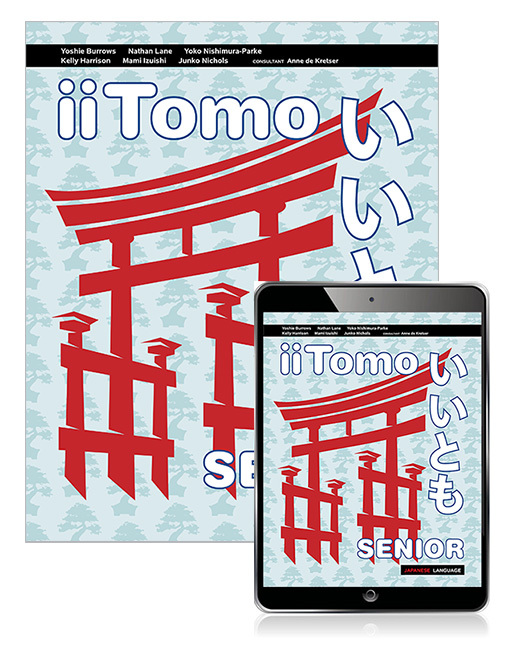 Building on the features and language of the iiTomo years 7-10 series, while recognising the specific needs of senior Japanese years, iiTomo Senior equips students for their exams with an all-in-one print and digital resource. Reader+ is the home of your eBooks. It gives you more options, more flexibility and more control when it comes to the classroom materials you use. It comes with features like in-text note taking, bookmarking, highlighting, interactive videos, audio tools, presentation tools and more. It's all about giving teachers and learners more options and more opportunities to make progress in the classroom, and beyond. Click here to learn more. Teachers get access to additional teacher-specific support material. Aligned to the Australian Curriculum, Victorian Curriculum, new NSW Syllabus and WA Curriculum, iiTomo 1-4 2nd Edition offers updated content and language, and new features for a complete supportive and flexible set of student and teacher resources. 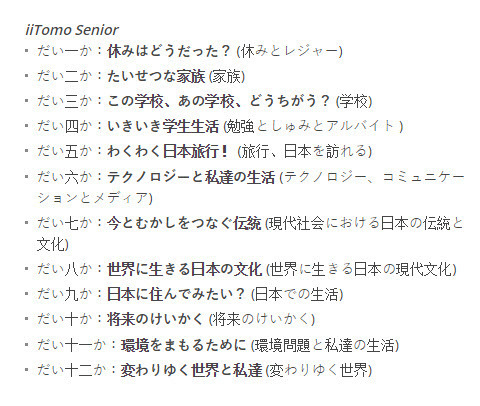 iiTomo Senior is for Year 11 and Year 12. It is aligned to the new Queensland Senior curriculum 2019, Victorian Study Design 2019, NSW Stage 6 syllabus and all other states’ senior curricula and supports students in their continuation with Japanese preparing them adequately for their final examination. Visit the iiTomo landing page to download samples, request an inspection and view the table of contents. This product is available in different formats to suit your needs, from the traditional printed textbook to an online MyLab/Mastering learning program your lecturer may use throughout your course. Note: Only purchase MyLab/Mastering access if it has been set by your lecturer. For an optimal learning experience we recommend that you buy your MyLab/Mastering with an integrated eText. Pearson 9781488624179 9781488624179 iiTomo Senior Book with eBook iiTomo Senior for Years 11-12 was written from the ground up based on user feedback and is aligned with the QLD Senior curriculum 2019, the Victorian Study Design 2019, the NSW Stage 6 Syllabus and all other states’ senior curricula. Due to demand, this product has run out of stock, and so the promotion is no longer available. One full priced item has been added to your shopping cart as a back-order.